A garage door that works properly adds convenience, security and even insulation to your home or business. That is the precisely the reason that garage door repair should be prompt, and no one knows that better than our team at Action Garage Door. For more than 20 years, we have been helping residential and commercial customers with all types of repairs and installation services. Our team of specialists can handle a wide range of garage door repair, including mechanical problems, broken garage door openers and replacing damaged panels. Additionally, we regularly work with customers who are interested in new doors, installing a variety of styles to best suit your needs. Because protecting your space from thieves or inclement Hilshire Village weather is often an urgent matter, we are happy to offer customers emergency services at any time of day. Our team is available around the clock and can be at your home or business within an hour to diagnose and resolve the issue. Before people may join our staff, they are required to pass a background check. We provide free in-home estimates on the work we do. Lastly, every project we do is guaranteed to meet building codes in Hilshire Village. No matter if your garage opener won’t work or if you are ready for a more reliable door, you can rely on our team for fast and affordable garage door repair in Hilshire Village. 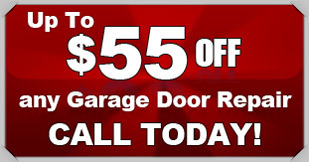 To learn more about our services or to get your free in-home quote today, please contact us at Action Garage Door.